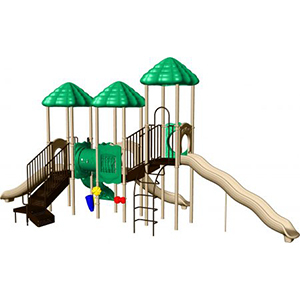 Finding a high quality, affordable playground that also offers a ton of fun does not have to be hard! 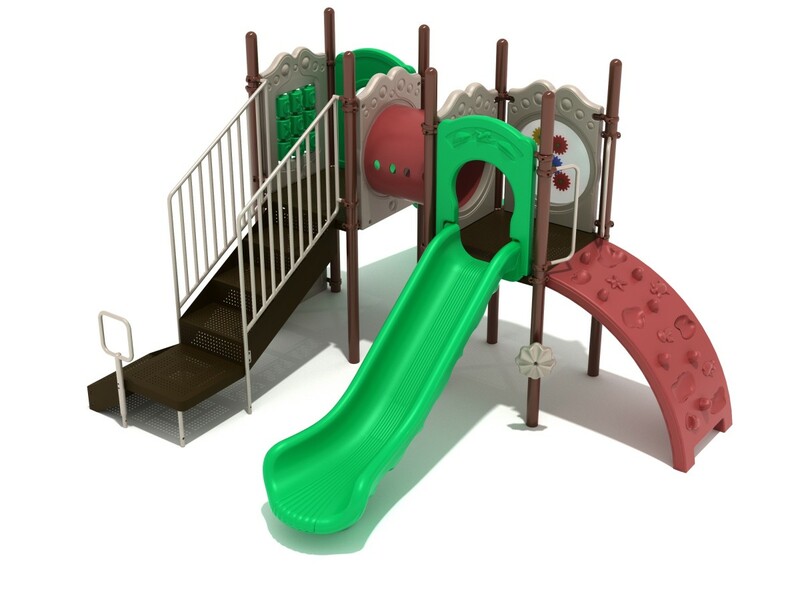 The Berkeley playground structure is a great choice for your playground as it offers a little bit of something for every child. 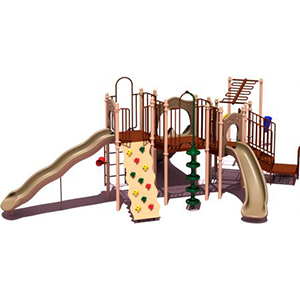 Finding a high quality, affordable playground that also offers a ton of fun does not have to be hard! 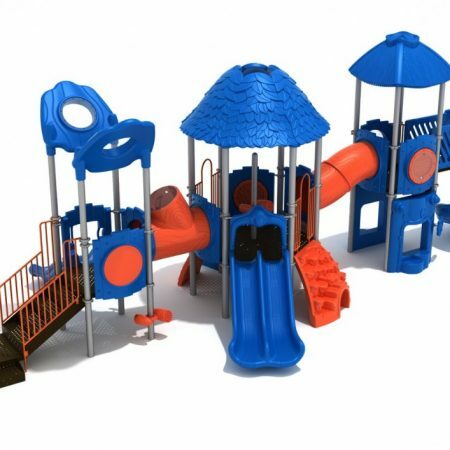 The Berkeley playground structure is a great choice for your playground as it offers a little bit of something for every child. 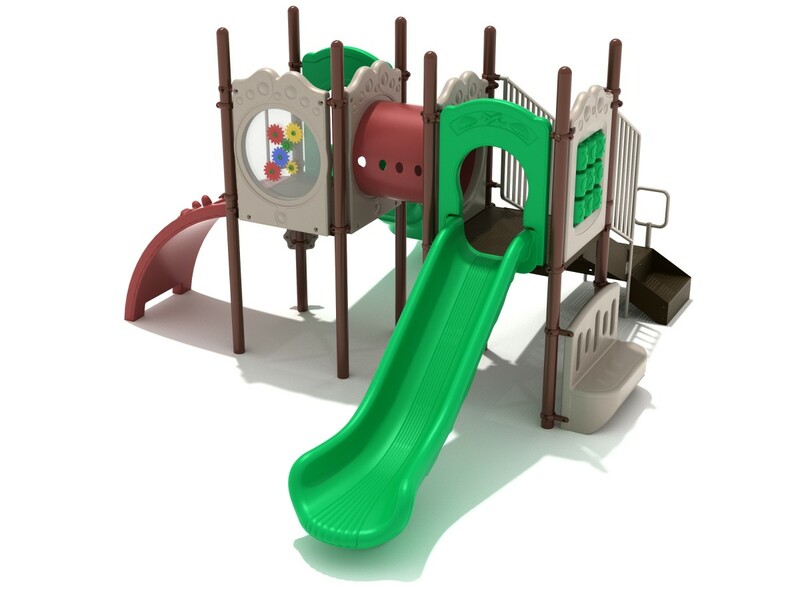 Designed for the 2 to 12 year age range, this unit features two straight slides. 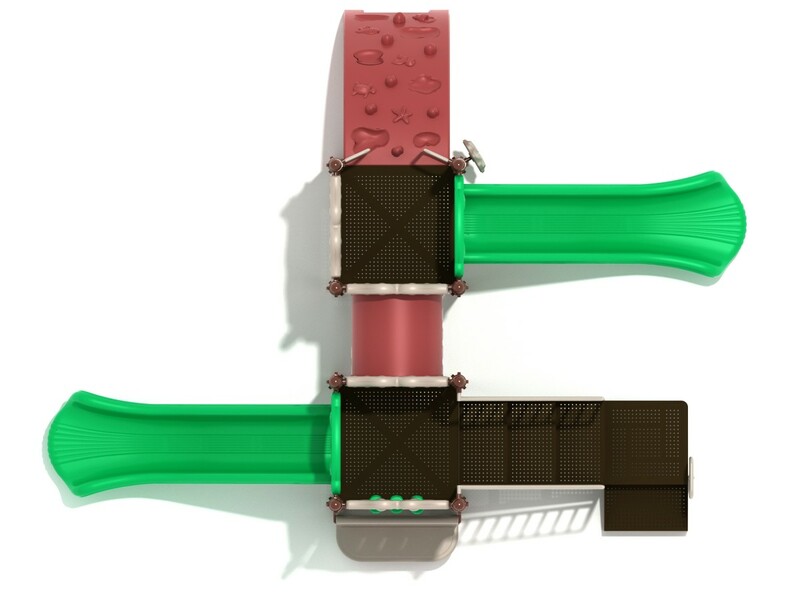 A tube bridge connects the two main decks together and peepholes allow kids to look out on the playground as they crawl across. 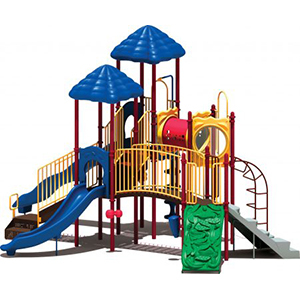 A sea creature climber provides a challenging way for kids to ascend the unit. A transfer station is included on this structure. 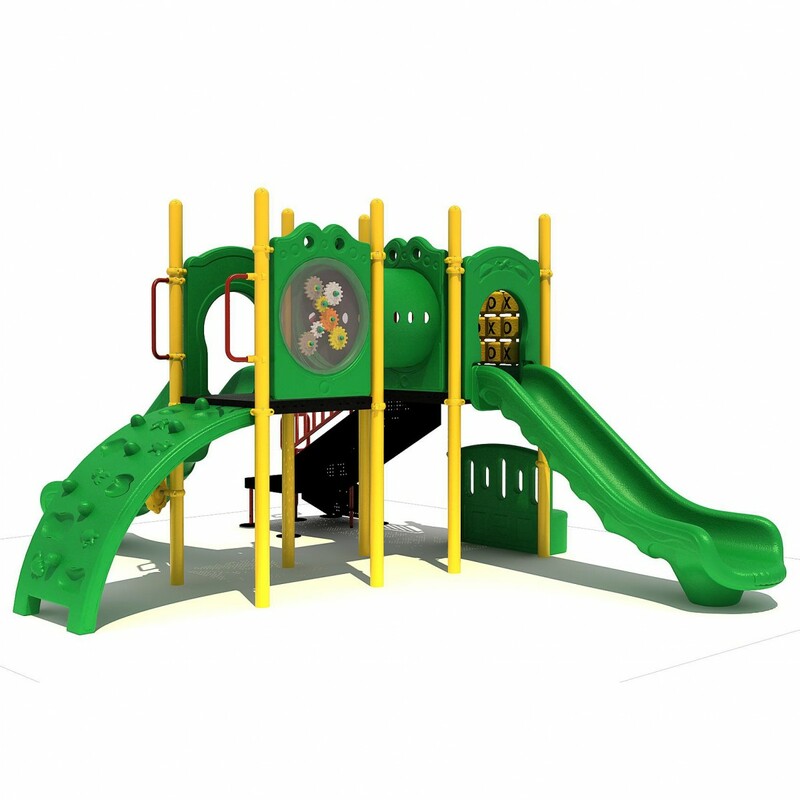 Kids can enjoy the sounds of the rain wheel or have a rest on the bench panel. 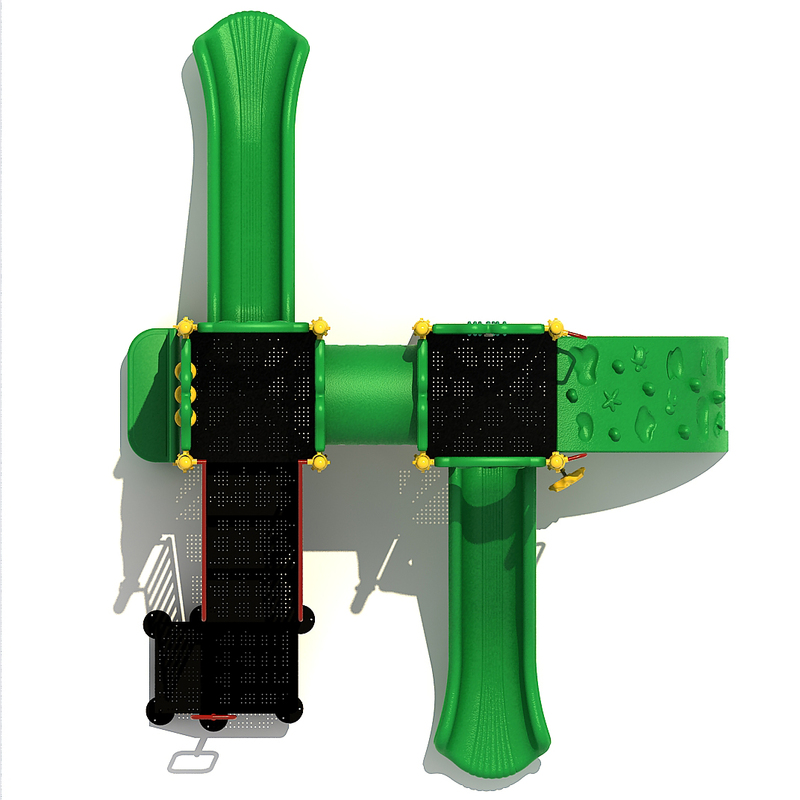 A tic tac toe panel and a gear panel are included to boost logic skills. 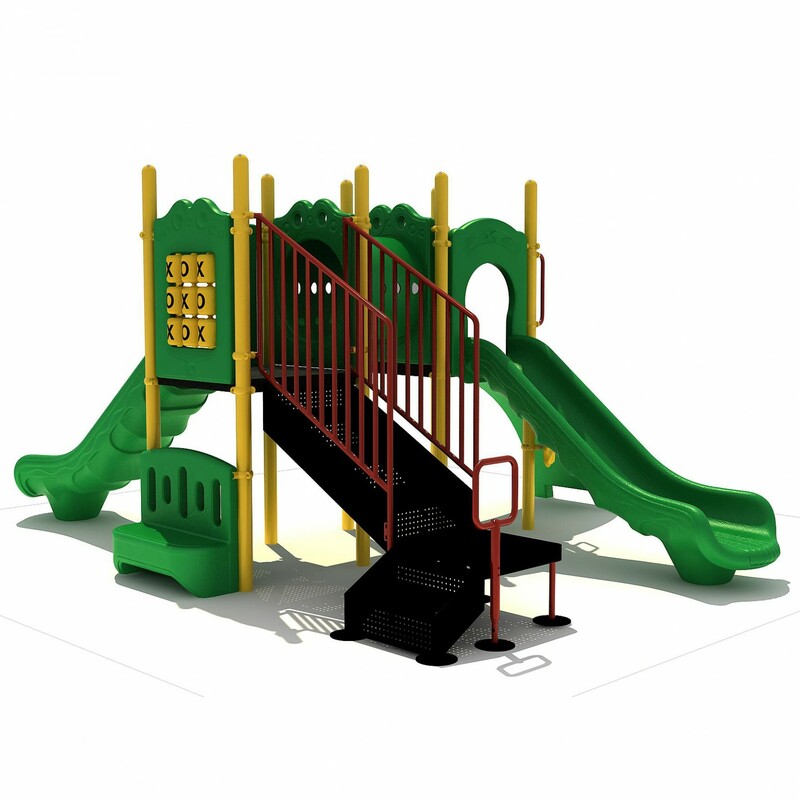 The Berkeley play system is an ADA compliant unit. Be sure to check out options for safety surfaces. Having the proper surfacing helps to prevent injury.